Right click on the sound icon present in right of the taskbar. 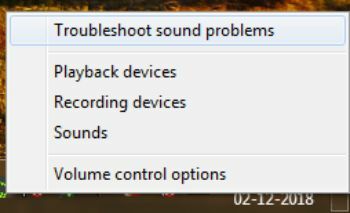 Now choice Troubleshoot sound problems option. The audio troubleshooter will automatically scan the device to checkered for the issues related to audio. 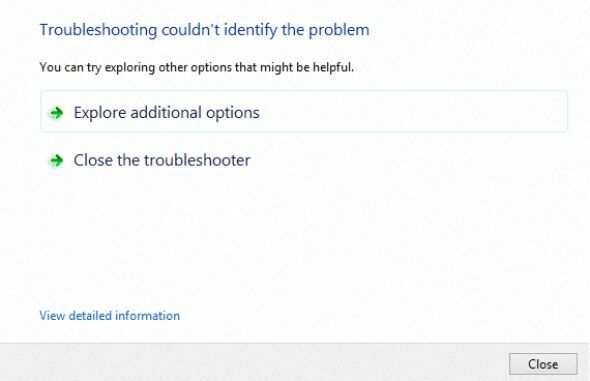 After completing up with the troubleshooter, Check if it is fixed by playing an audio file. if not, then click on the Explore additional options and proceed accordingly. However, if still, the error persists. Try out another way. 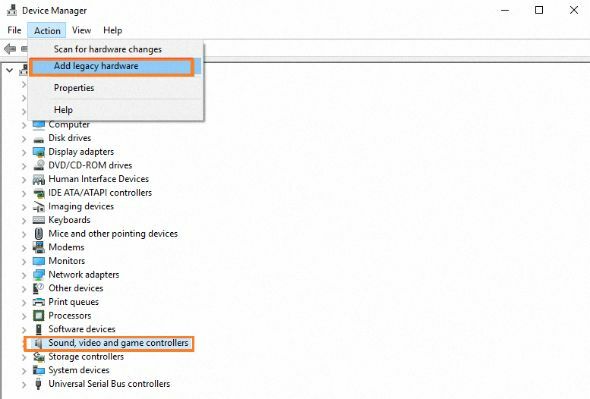 First, you need to open up the Device Manager (In Windows 10: you can find this option by right clicking on the windows icon). 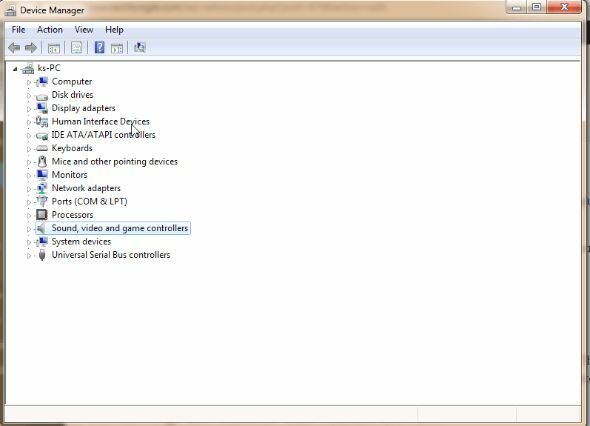 Now click on the Sound, video and game controllers option. Then right-click on the installed driver and choice the Uninstall option. Now restart your Windows machine, the sound drivers will automatically get installed. This might resolve the problem. 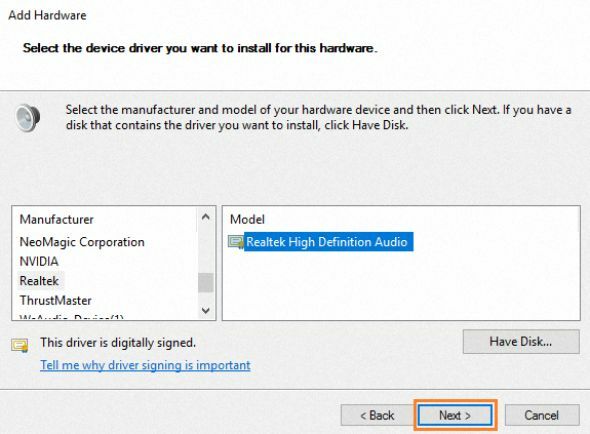 If the drivers are unavailable, download a sound device driver from an official site. First, you want to press Windows + R keys on your keyboard to give a run command. 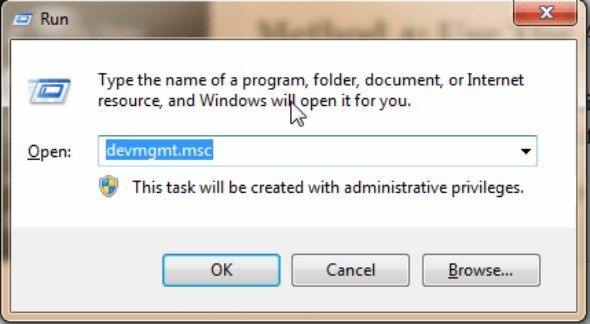 Type devmgmt.msc in the run box and click on the Ok button. 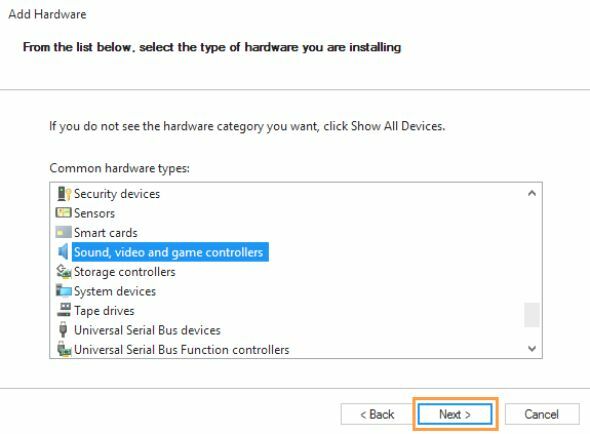 Then find out the Sound, video, and game controllers option and expand it, right click on your audio device and click on the Enable button. Firstly, you need to open the Device Manager (as previously done in Method 2 & Method 3). Click on the Action button in the top menu, then choice Add legacy hardware. Now you want to open the Add Hardware Wizard. 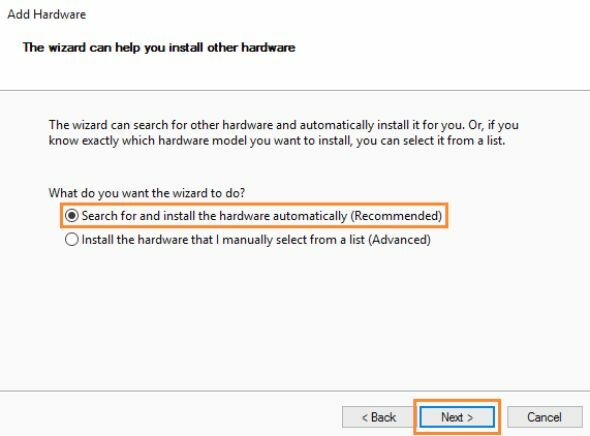 Select “Search for and install the hardware automatically (Recommended)” and click on the Next > button. 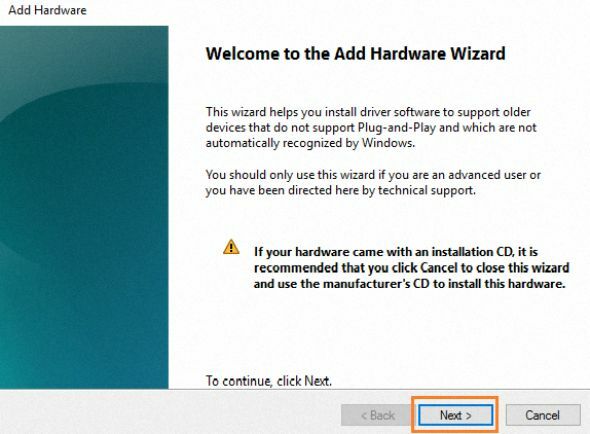 If the wizard did not find any new hardware on your computer, then again click on the Next > button. On the next screen, you’ll find a list of hardware types. 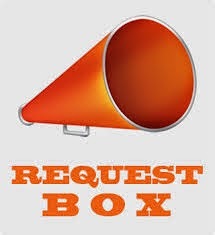 Scroll down and select the Sound, video and game controllers option and click Next >. Now you need to choose the manufacturer and the model of the sound card. Again click Next > and finally click Finish once the process is complete. 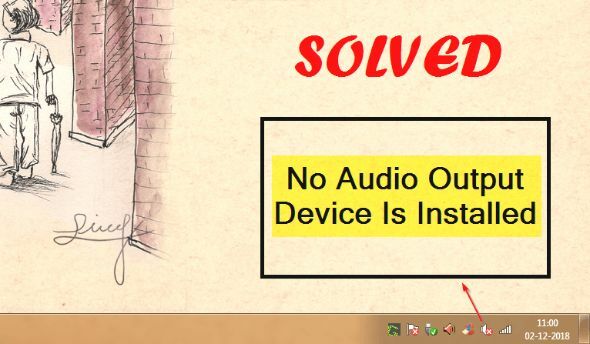 Restart your device to save the changes, the Windows will automatically load the audio driver. 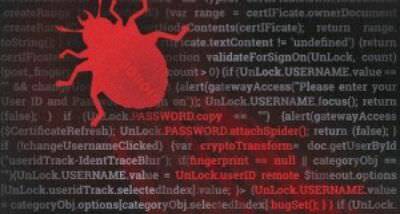 If you have tried all the above methods and still the error persists then restoring the system can definitely help you out. 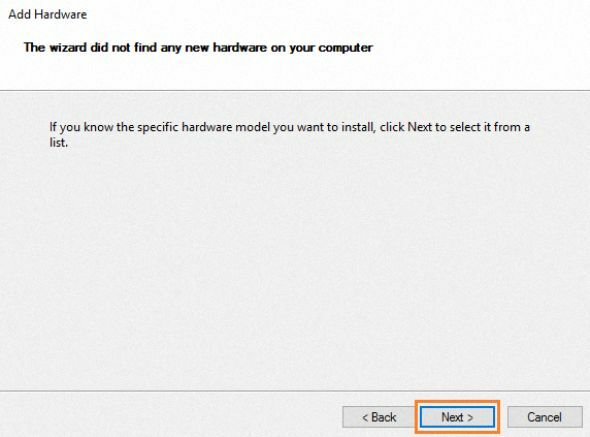 Run system restore and get free from the “No Audio Output Device Is Installed” error.